It was fall of 2013 when Jim Lockman, a Rotarian, a businessman and a resident from Eden Prairie came across an article in the Star Tribune that highlighted the grassroots efforts of a group of women in the northeastern suburbs of the Twin Cities metro area raising money for great local charities. It showcased the Power of 100 Twin Cities Women’s success. It intrigued him enough to start having conversations with women in his circle and women within his local Rotary Club to gauge interest and determine if there would be support amongst our clubs to possibly help launch a similar organization in our own community of the Southwest suburbs. Stacy Newgaard and Irene Kelly, both Rotarians, businesswomen and residents of the area, quickly welcomed and recognized the opportunity to engage the busy women around them and in their communities with meaningful philanthropy. 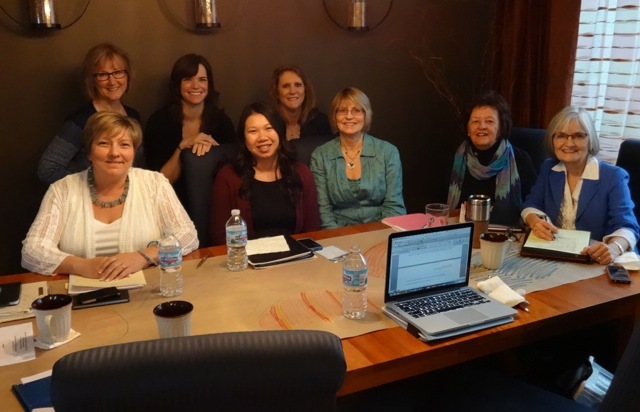 Because of this, a Founding Committee was formed made up of Katie Kearney, Jan Eian and Pei Ling Jamison, Janene Phillips, Susan Holman and Carolyn Vinup. We held our first meeting August 28th, 2014 and have been meeting in each other’s homes at 7:00 AM monthly ever since. The beauty of Power of 100 is the simplicity of the concept. We must at this point graciously thank the existing Power of 100 Twin Cities group for their amazing willingness to share their model and what worked for them. They have blazed the trails in Minnesota for a tried and true model for women to be able to get involved in a meaningful, simple and powerful way to give back to our communities. Power of 100 Southwest – Women Who Care was created in January 2015 to give women of the Southwest suburbs opportunities to learn about and donate to charitable organizations. It’s a simple concept that was borrowed from similar organizations around the U.S. including The Power of 100 Twin Cities. Each woman commits to a $100 quarterly contribution which classifies her as a member. A special thank you to members Rachel Soffer and Tony Notermann for providing valuable help with vetting charities and website design.